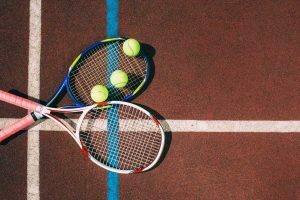 Everyone’s needs are different when it comes to tennis shoes. If your shoes, however, are too heavy, they can weigh you down no matter your other needs. 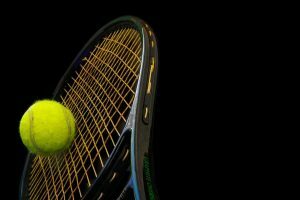 The weight of a tennis shoe is owed mostly to the material the shoe is made from. While materials like leather are durable and provide lots of support, they are heavy. EVA and canvas shoes are the lightest options. 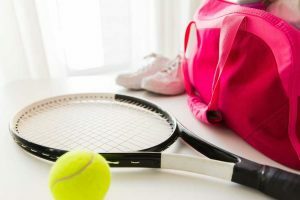 One thing to keep in mind when choosing lightweight tennis shoes is that they are sometimes less durable than the heavier alternative. If you intend to play a lot, then a lightweight shoe will most likely wear out a little faster. 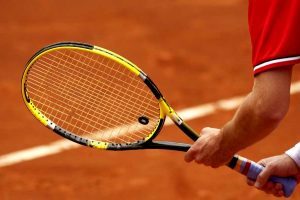 If you are planning on playing tennis on clay or grass, lightweight tennis shoes are probably the best option. 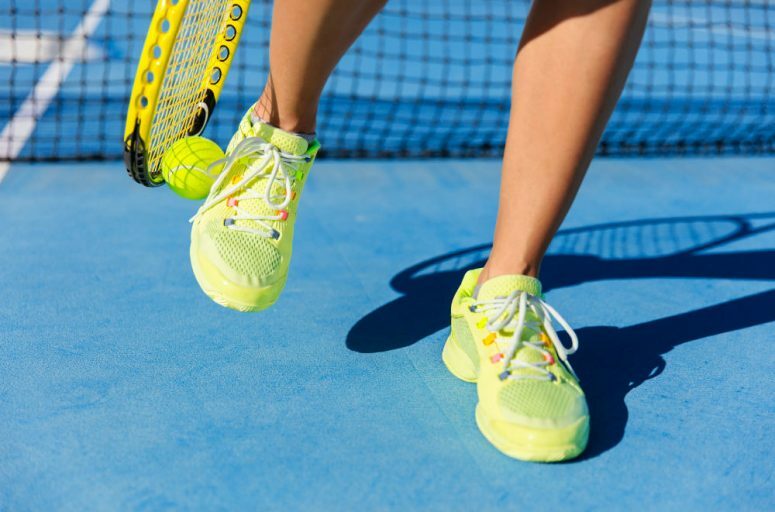 For hard courts, a heavier shoe will hold up for longer. Regardless of your own desires, lightweight shoes do have a number of advantages. For instance, they allow you to play for longer without fatigue. There are a number of good options on the market currently. All the major brands seem to have a lightweight option. The main thing to look for is the material the shoe made from. 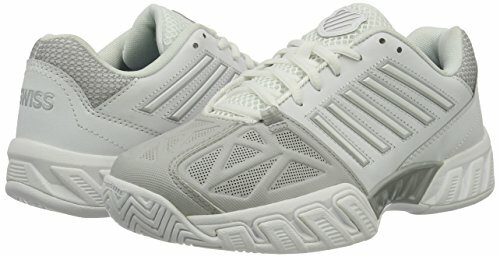 The K-Swift women’s Bigshot 2 tennis shoes are definitely one of the best lightweight tennis shoe options on the market. Coming from one of the leading tennis shoe companies, they provide a fairly durable lightweight option. Like most lightweight tennis shoes, the Bigshot 2 tennis shoes are primarily made from synthetic materials. They do, however, incorporate a leather upper portion which makes them a bit more durable. As these are a bit more durable, they can really be used on any kind of court. Additionally, they had non-marking soles, which allows you to play on hard courts too. 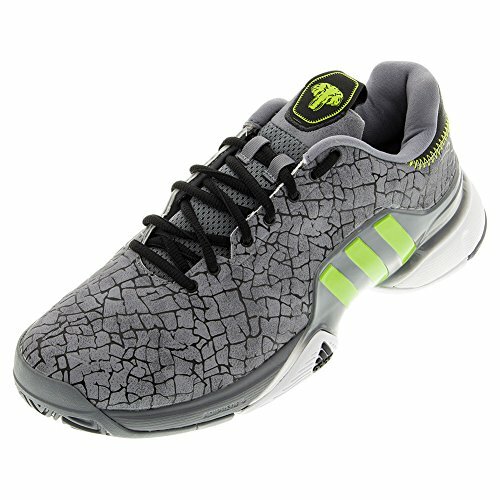 The Adidas Performance women’s Adizero Ubersonic 2 W tennis shoes are an even more lightweight option. Unlike the Bigshot 2 shoes, though, they are solely made from synthetic materials. Rather than using leather, the Adizero Unbersonic 2 W shoes have a rubber sole and webbing across the upper portion. This combination makes them weigh in at under one pound. Like the K-Swift shoes, these also incorporate a non-marking sole. This means that they can be used on all kinds of courts. Since these shoes are so lightweight, though, they may not hold up as well on hard court. 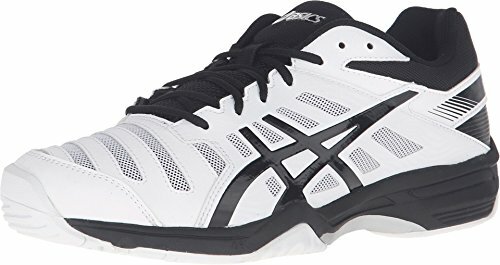 The ASICS men’s Gel-Solution Slam 3 tennis shoes, similarly to the Adidas shoes above, are made from all synthetic materials. They are comprised of a rubber sole and a mesh and rubber upper portion. In addition to the lightweight materials, the Gel-Solution Slam 3 shoes also have gel cushioning. This type of support is super lightweight while still being comfortable. Men’s shoes tend, in general, to weigh a bit more than the women’s versions, but these are even lightweight when compared to women’s shoes. Weighing in at around one pound, these will definitely not hold you back. 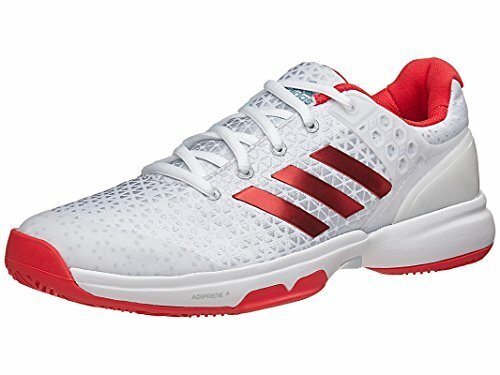 The Adidas men’s Barricade 2016 Hannibal tennis shoes are another combination shoe. They are made from synthetic rubber, mesh, and leather. This combination makes these shoes lightweight, durable, and comfortable. While the Barricade 2016 Hannibal tennis shoes also weigh under one pound, since they have a leather component, they will hold up better. The three material combination allows you to play on any type of surface without destroying your shoes. 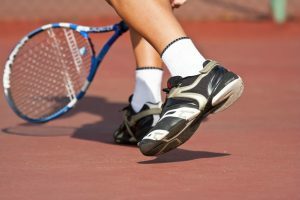 One of the problems with leather tennis shoes is that they lack breathability. Because of their design, however, these shoes continue to be breathable while not sacrificing weight or durability. 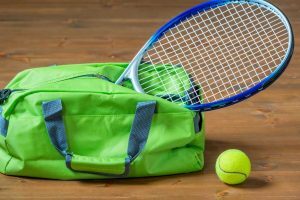 Having tennis shoes that are too heavy can really hamper your game. 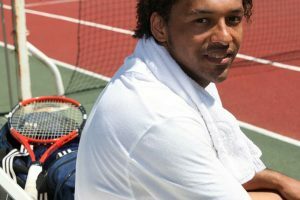 The best lightweight tennis shoes will allow you to play for a long time without becoming fatigued. 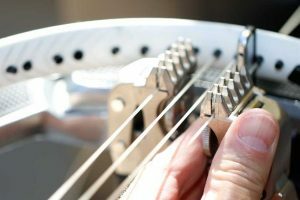 There are some drawbacks to lightweight when it comes to durability. There are, however, a number of great shoes that provide the best of both worlds. The main thing to look for in a lightweight tennis shoe is the material. Most lightweight shoes are made from synthetic materials. If you are looking for more durability, though, some lightweight shoes also incorporate leather. While there are a number of lightweight options on the market, the shoes found above are some of the top options. These shoes will be breathable and lightweight so you can play your best game.